In this edition of the Newsletter, we would like to discuss the National Convention 2014 in Philly. There were some great speakers and supporters of ALL Postal Workers like Bernie Sanders and Ed Shultz. It is good to listen to them on TV or the radio but to see them in person was really awesome. The training was intense and gets better every Convention. The Steward's training and Safety and Health were of great value to me and those I attended them with personally. Social Security, Route Adjustments, City Delivery and other classes to other members as well. Many said they didn't go because it was only in Philly. We can go to Philly anytime. But, you can't get the training or exchange ideas and experiences with your brothers and sisters from across the Country anytime. Only when you make that commitment to do whatever it takes like a lot of our members did. Special shout out to Joe Pease who did a great job handing out materials to every one for a lot of classes. It was a very hard and time consuming job. And to Gary Smith who is new and was eager to get all the training he could and did. Members like you are our future. Keep encouraging others to get involved. Lastly we all got together and signed a card for a little boy from Foxboro, Mass. who has inoperable brain cancer. His only wish was to have his mailbox full of birthday cards. Kudos to Barb Kearney for getting cards for all members in our branch to sign individually as well that were in attendance the next day. I was touched deeply by the video of him getting more cards and packages from all over the world then the rest of Foxboro combined. Watch that video and you will see the power a letter or card still has over an email. In this edition of the Newsletter, we would like to discuss why you need to get more involved. I have heard it said many times how the Postal Service will do what it wants to so why bother going to a rally or making a phone call. Saturday delivery has been on the chopping block so many times I can't count. It has only been through the hard efforts of those that did bother that we still deliver mail on Saturday today. Now comes the news that Staples and the USPS have backed out of a deal to have mini Post Offices inside Staples stores. This only came through the hard efforts of Postal Workers from all four Unions and the support of other Unions. The threat of a boycott and the protest showed Staples this would not be in their best business interests. So, the Postal Service can't do what they want to do. They will only do what we, and the public, allow them to do. Next time we ask you to get involved - remember it can make a difference. Thanks to all of you who are there whenever we ask. In this edition of the Newsletter, we would like to discuss MSP's. Now, I have heard a lot of people complain about Management's use of MSP points against them. What these people don't understand is they can be used to our advantage. First off, they tell you where they expect you to be and when. So, when they say you should be leaving the office at 9:15 AM but you can't leave until 9:30 A.M. because of the mail or parcels not up in time then that is not possible. Maybe you had to wait for that pivot or extra piece to be pulled down. Later in your route you are supposed to hit an MSP at a certain time and maybe even see yourself farther behind due to whatever you faced on that day. Every day is different right? We encounter different challenges every single day. But, my point is these are approximations of what times we should be at these delivery points. At each one of them we know what reasons we have for being behind what those exceptions are. Call the office and tell them you aren't going to make it with those reasons. Fill out a 3996 when you get back to the office with those reasons listed and keep a copy for yourself. Every day is different and I can't remember the problems I had on a day a week ago. Keeping a record of that will refresh your memory. Too often I hear Carriers complain they had to run to get done in time. There is no reason to. They gave you the times you are supposed to be at a certain place and if you are running late then there are reasons behind them. Legitimate reasons. They have established gateways that show where and when we should be. Use them to your advantage to explain what issues you faced on any given day. Stop being abused. This job has enough stress with everything we deal with. Allowing things we can control to be controlled by others is just adding that more stress to our job and lives. In this edition of the Newsletter, we would like to welcome John Ford and Lavar Nesbitt from Chester and all other CCA's that have been converted to Regular Status. While some of you had to take a bitter pill in the form of a cut in pay going from TE to CCA you now have a Career path which did not exist before. You are the future of the Postal Service and of this Union. Stay involved and get any of the training offered to you. Protect your future. In this edition of the Newsletter, keeping with the new year and all that comes with it, I find that things in the "PO" are just continually moving in the same way. All actions are towards stopping the bleeding that's happening with the Post Office. They have done a good job of cutting the fat. But don't look to the letter carriers when trimming the fat comes into play! Look elsewhere when on this neverending mission. In route adjustment, an email went out the week of January 17th. It basically mandated that supervisors hold down the office time. "Percentage to standard". WoW! When was the last time we heard that? Of course the changing of equipment from more equipment, more shelves to less equipment, less shelves had nothing to do with it. Ok carriers, you did your jobs and as usual they say things are not right. You make the decisions, we work. What things are not perfect? How about working with us at every level instead of insulting our intelligence daily with your overt bullying and far reaching intentions. More to come very soon! In this edition of the Newsletter, keeping with the month of thanks and giving I want to focus on our accomplishments for the month and our appreciation of each other. Our branch is going through a transition. President Jim McCullough expressed that this upcoming three-year term will be his last. He is taking the time to ensure that our legacy of excellence in Branch 725 is set up for decades to come. 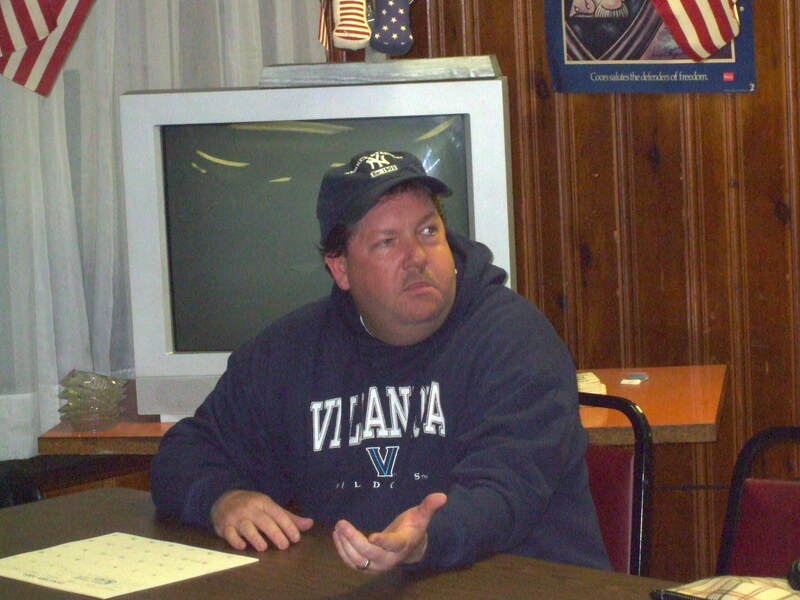 Legend Don Coughlin stepped down from the Branch Board as well as the State Board. Jim is having other members trained in the event that someone else steps down. We are now in a position where he has options on who to appoint if in the next three years someone steps down. Les Dilman and Rhonda Massari have embarked on the next round of route adjustment. They along with many others are pouring over the figures for October. We are very fortunate to have two of our own down their to ensure that our rights are protected. The process is not perfected yet. But their input is taken into account when every season ends. We should be thankful to have our own people down their. Not only that, but for them to be some of the best and brightest down there as well! 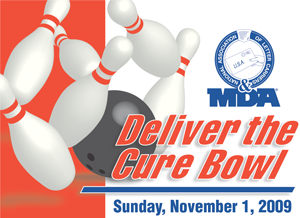 On November 1, 2009 the Branch participated in the inaugural "Deliver the Cure Bowl". It was a bowl-a-thon sponsored by the National NALC. It will eventually reach the heights of the NALC Food drive. We again were on the cutting edge of our union's activity. We were one of the few branches that got on board from the begining! Thanks to the hard work of Andrew Kearney and Jack Daniels(who acted as co-chairmen) under the guidance of Director of MDA Bill Mellon, we pulled an affair together in a short period of time that was highly successful. The affair raised about $1,500 for our national charity. Thanks again guys!!!! On a lighter note. Our superstar model Bob Zigmont was on yet another cover. He now charges for his autograph. Although it's probably worth it, i'll just rely on saying I knew him "when". Also, Barbara and Andrew Kearney, Don Coughlin, and Rhonda and Dan Massari are featured on the NALC Health Plan video. Health Benefit Plan Video starring Branch 725's own Don Couglin, Rhonda Massari, and Andrew and Barbara Kearney. Great Job guys! It's always great to have our great branch get the recognition it deserves (shout out to Jim McCullough for his appointments)! The Bowl-A-Thon turned out be a great time for us to get together, bring our kids and family members out and support our national charity. Please try to attend next year as it promises to be even better. In this initial edition of the Newsletter, I bring you the good, the bad, and the ugly. Les Dilman and Rhonda Massari completed another cycle of the MIARAP. They work very hard for our brothers and sisters and get nothing but flack. If you think being a Shop Steward is bad, try making decisions that affect people's routes. No one is happy. Everyone feels like they have to blame someone, so who do they blame. Also, Jim Watson, Jim Dolan Jr. and many more shop Stewards went out to the offices to get yelled at, cursed out, and generally vented to....all in the name of route adjustment. The problem is that they can only play the cards that they are dealt. Thanks guys, you did a great job. The National Business agent told us that this process is here to stay. It is not perfect, so things are still being worked oue every time we go through it. If you were at the last meeting you got a good explaination from Les Dilman, your Director of Route Inspection. Again, route "team", great Job! In the end, because of Les and Rhonda's hard work, the district did not meet their goals. So, you know they will try much harder next time. And hey management $%$$$(^&^'s we will learn and try harder too!!!!!!!!!!!!!!!!!!!!!!!!! Rhonda Masari was been elected to the State Executive Board at this year's State Convention. Her along with President Jim McCullough keeps our branch's two seats on the board. President Emeritus Don Coughlin stepped down from the board as well as the Branch Executive board. A legend you are Don Coughlin... a legend you will remain!! !